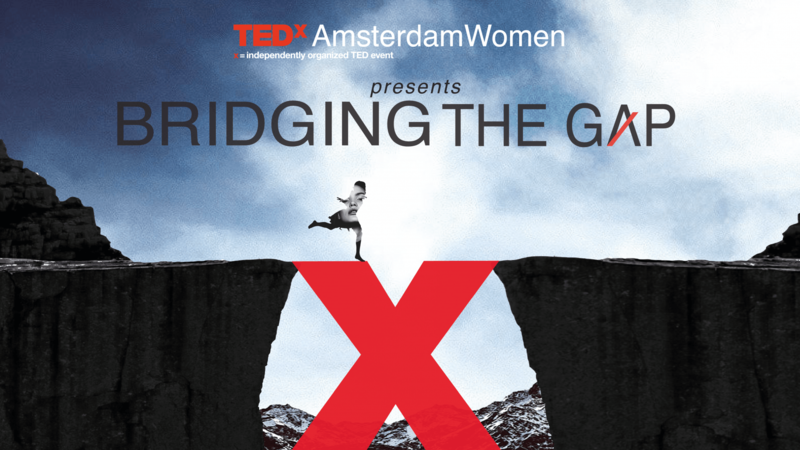 TEDxAmsterdamWomen proudly presents our eighth annual conference: Bridging the Gap. On December 6, 2018, at the KIT Royal Tropical Institute in Amsterdam, we will live stream TEDx talks in front of an audience of over 400 people. Guaranteed to be thought-provoking and inspiring, this highly anticipated event will see critically acclaimed speakers take to the stage to share their ‘ideas worth spreading’. Our TEDxAmsterdamWomen speakers are diverse, yet they all have one thing in common: they are making a difference when it comes to Bridging the Gap. Want to know our program, check our digital booklet here. Do we still need feminism? The gender gap proves we do. Indicators in health, politics, economics and education show the gap is widening. Women - and men - around the world are taking action, raising their voices in a wave of protest. Change is coming. It’s time for equal pay and equal say. It’s time for a world that reflects women, too. Inequality won’t disappear overnight, but we can make strides when we band together. By sharing big ideas that spark a fire in others, we’re creating a movement -- idea by idea, woman by woman. Join the conversation and get inspired! We are opening the stage to new, undiscovered “ideas worth spreading,” and looking for ideas that focus on women’s issues and make an impact. We’re seeking out the game changers, local heroes and rebels; the women (and men) working hard to change their community and the world. On November 9, 2018 we organized the first TEDxAmsterdamWomen Pitch Night, opening the stage to unknown talent. Since the first event, TEDxAmsterdamWomen has annually produced and delivered a stunning and inspiring conference, bringing forth well-known and critically acclaimed speakers such as Mei Lin Ang, Steve McCurry, Mariéme Jamme, Harriette Verweij, Naomi Feil, Sarah Britton, Corrine Vigreux and many more. TEDxAmsterdamWomen events are not subsidized and are run on the enthusiasm of our sponsors and a large group of professional volunteers who dedicate their time and energy to set up this event, acting as personal ambassadors for change and innovation. After the smashing success of the previous Startup Award, TEDxAmsterdamWomen once again offered a stage to inspiring and high-potential startups led by women. On September 24, 2018 eleven promising startups presented their ideas to a jury of investors, press, and consultants. Three female-led startups are now through to the final round, where they will share their personal TEDtalk on the TEDxAmsterdamWomen main conference stage on December 6. The winner will receive expert business advice for a year, meet potential investors and enjoy a business trip to Hong Kong.